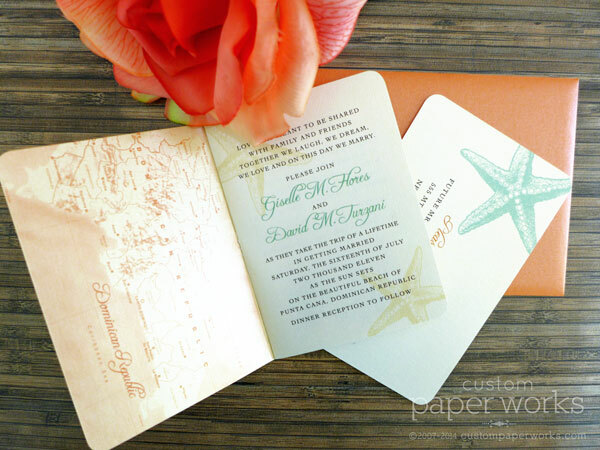 This design is a great example of what can be done when you love one of our designs – BUT … whatever. 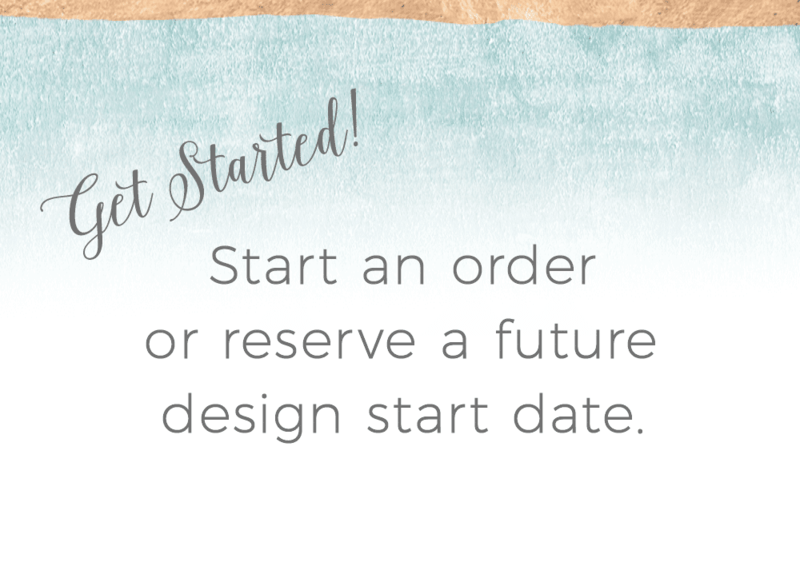 Keep in mind that all of our CUSTOM orders are created from scratch, so you aren’t limited to having yours look exactly like what you see on the website (orders placed through the SHOP are not as custom, however). 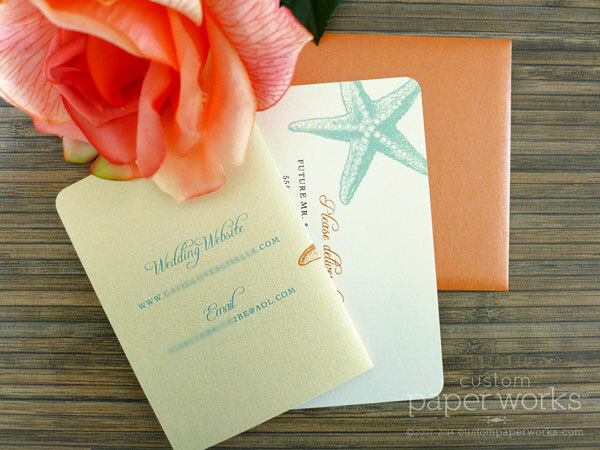 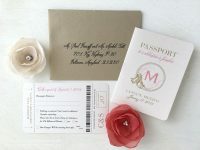 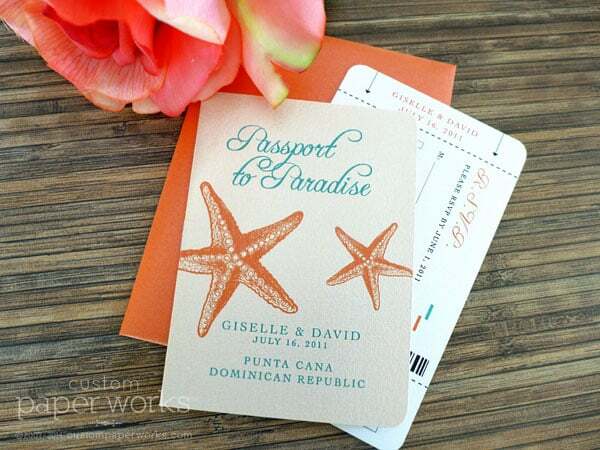 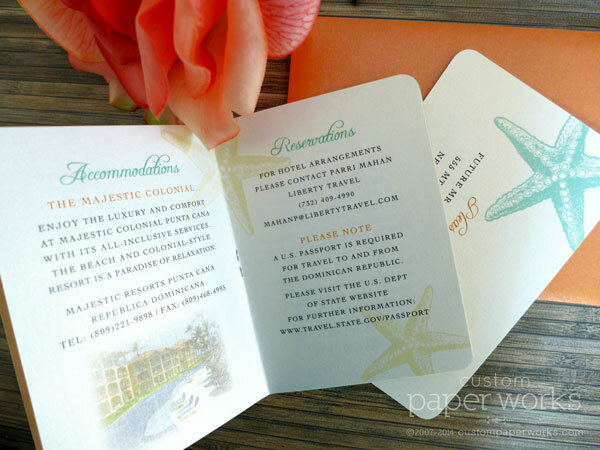 Giselle really liked a Starfish Passport Invitation we’d created for another client, but wanted to incorporate some aqua and a little more of a tropical and festive look. 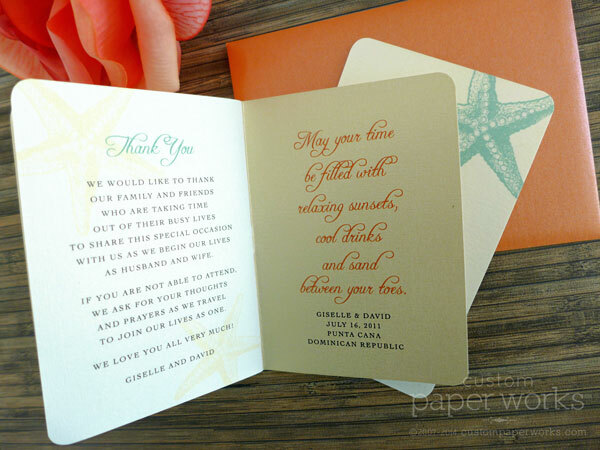 So a new font was selected, the colors were changed, along with a few more color pops throughout.